There they go again. After two failed initiatives (Issue 9 and Issue 48) to defeat fixed rail public transportation at the ballot boxes, enemies of the Cincinnati Streetcar project are once again moving to bar the city from completing what has been billed as crucial to the economic development of Over-the-Rhine and downtown. This time they found an ally at the congressional level. Last week, Representative Steve Chabot (R), Ohio’s District One representative, and native of the west side of Cincinnati coyly inserted an amendment into the Transportation Housing and Urban Development (THUD) bill that would bar the use of federal dollars in funding any project in Cincinnati that is on a “fixed guideway” system. The bill is currently in the Senate where it will be voted on and forwarded to the President for his signature should it pass. 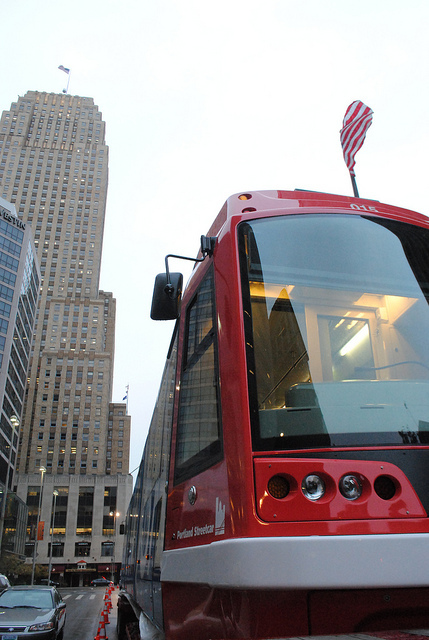 The amendment, which reads, “None of the funds made available by this Act may be used to design, construct, or operate a fixed guideway project located in Cincinnati, Ohio,” is designed as an attempt to stop the Cincinnati Streetcar project. The amendment’s language mirrors that of both Issue’s 9 & 48 but has even broader and more far reaching consequences than either of the two failed ballot initiatives. Any transit service that uses exclusive or controlled rights-of-way or rails, entirely or in part. The term includes heavy rail, commuter rail, light rail, monorail, trolleybus, aerial tramway, inclined plane, cable car, automated guideway transit, ferryboats, that portion of motor bus service operated on exclusive or controlled rights-of-way, and high-occupancy-vehicle (HOV) lanes. Upgrading the city’s overcrowded freight rail system: The city has previously asked for state and federal funding to add a “fourth main” freight rail line expanding the regions freight rail capacity and reducing the impact of an existing freight rail bottleneck along the three main freight lines adjacent to the Mill Creek. The City can’t even ask for this solution if the amendment goes forward. Development of the city’s Bus Rapid Transit system: SORTA and the City have been conducting studies on implementing BRT on several streets in Cincinnati including Reading Road and Montgomery Road. This amendment will make it impossible for the project to utilize much needed federal funds to buy buses and construct stops and street improvements. Development of the Eastern Corridor and Wasson Line for light or commuter rail: Both of these rail lines would connect downtown to the east side of the city. Without federal funds neither project can even be studied. This includes any study on the possibility of a “Rails and trails” combined bicycle path on the Wasson Line. This amendment is a poison pill meant to punish the progress of Cincinnati and its revitalizing urban core and overrules and ignores the will of the city electorate. It serves only the shortsighted will of vocal minority and threatens to leave our entire metropolitan region at a competitive disadvantage against other regions as we move towards a 21st century economy. We strongly urge supporters of transportation infrastructure to write Ohio Senators Sherrod Brown (D) and Rob Portman (R) to remove this overly restrictive language from the THUD bill. Additionally, we encourage supporters of transportation infrastructure in Ohio’s First Congressional District to give Representative Chabot an earful over this callous disregard towards voters in his home district.